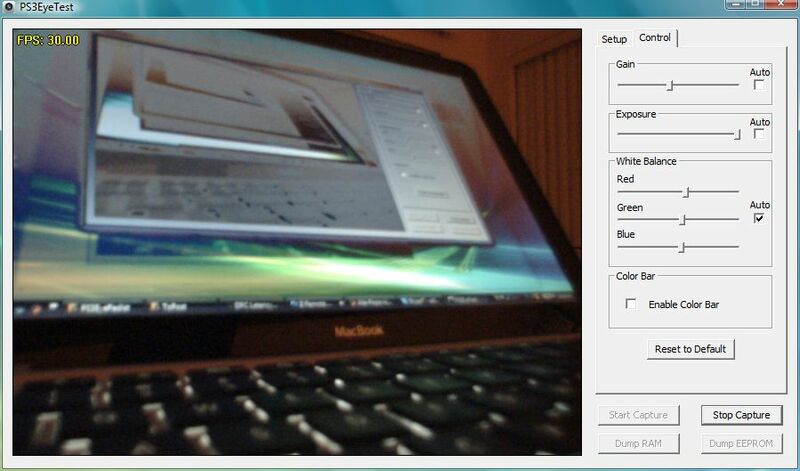 Well boys and girls, I’ve been working hard last few weeks to make this great camera work under Windows. 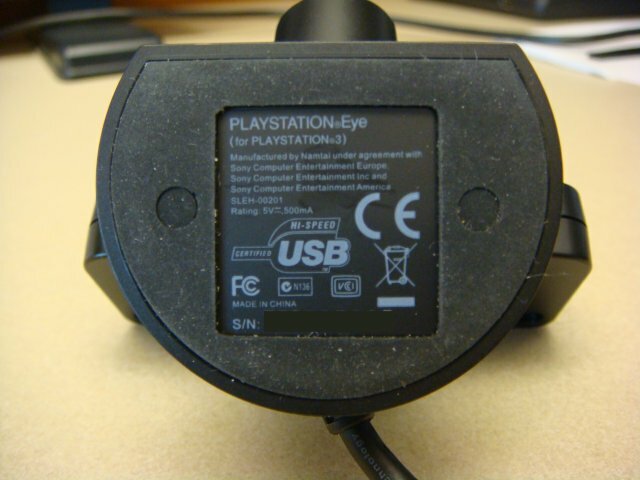 This makes the PS3Eye ideal for multitouch applications. The best part is the price $39.99! I found mine here. Now, the main problem with this camera is that there are no drivers for Windows. The camera’s chipset info is virtually non-existent on the web. After examining the camera internals (pictures here) I found that it features the OV534-LB50 camera USB 2.0 bridge and the OV7720 CMOS VGA sensor. Both of these are made by OmniVision. The camera currently streams video in YUYV format, therefore each frame is 640*480*2 bytes. At 30fps this amounts to about 17.5MB/s which is pretty low in comparison to the total USB 2.0 bandwidth. At 60fps the amount of data gets higher and it could be affected by other peripherals connected to the USB host controller. This is why it is recommended that the camera be the only device connected to the USB host controller. Most of the CPU overhead that I currently have is the color conversion code that is implemented in straight C/C++ without any SIMD optimizations. For real (MT) applications this code will go away, since we will be extracting raw grayscale image (every second byte of YUYV). My driver exposes PS3Eye camera as a device with direct access, thus eliminating the complexities and the overhead of DirectShow system. For multitouch applications (where low latency is a key) I will be working on custom PS3EYE capture filter for use in TouchLib. 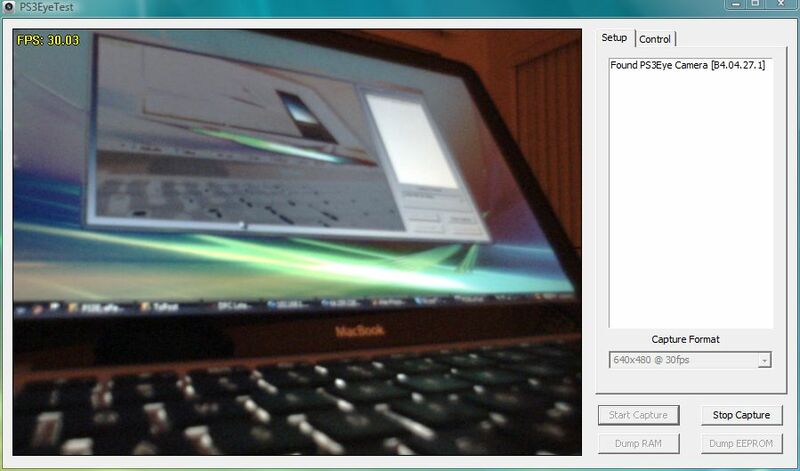 In parallel I will be working on a DirectShow filter that will allow wide use of this camera on Windows. 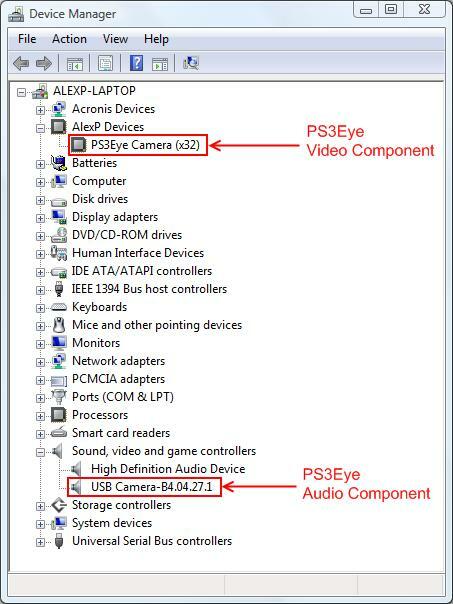 - Unplug the PS3Eye camera from your comupter. - Download and run the latest CL-Eye Platform file. - Click ‘Install’ and follow the setup process. - Plug in the camera. Now run the PS3EyeTest.exe program, and the captured video as well as the FPS counter will be displayed. nice! Thanks once again alex! I can’t wait to get one of these now. Alex- The camera I’m currently using has the same size lens as your old iBot camera. It’s an AME group CF-2000 firewire cam. Do you think I will be able to put that lens in a Playstation EYE? I would like to be able to use the original, unmodified lens when attaching the EYE to my ps3. Do you think this driver will work under XP? I was just about to purchase an XBOX 360 camera but if for 20$ more I can get that quality there’s no point except for not having Vista. The only reason I talked about Vista is because this is what I developed and tested it on. you think you can make it work under vista x64? ” Alex P. Gambler “ glad to have you back with new eyes ! if you can’t find it : DIY ! Many people have been desperately looking for this driver . that ‘s a great move to reduce the cost of the setup ! Alex I am going to order one now! thanks for the hard work sir. Alex does it again! Nice work! How does the FireflyMv’s performance compare to the PS3 Eye? Great job! Time to upgrade my table! Wonderful news for the poor man like me hope I can find one in Australia! Great news Alex. Hopefully you’re able to get that full fps out of the camera. Will this driver work in other applications or will we need to write custom code for it? We’ll be pushing out the new tracker soon and we hope this driver will be compatible with it. I am working on getting the datasheets for the chips used on the camera from OmniVision. The driver I wrote has direct access to the camera, so all I need to do is wrap it in a dll that can be loaded by TouchLib and the new framework. Since this is all custom code, we can adopt it to any framework we chose. But, I can tell you that the image quality of this camera is excellent.